Yesterday, President Donald Trump spoke in Little Havana in Miami, Florida and told the crowd of Cuban ex-pats that he would be cancelling and making changes to the Obama-era Cuba policy and is challenging the Cuban government to negotiate a better deal. Trump told the audience that he would be canceling Obama’s one-sided deal with the Cuban government. You can remember that Obama’s change in policy with Cuba was met with bipartisan opposition. In essence, this one-sided deal looks rather similar to the Iran nuclear deal where one just scratches their head and wonders how a sitting US president negotiated such a deal in the so-called best interest of the United States. The Cuban government said that President Trump’s speech was ‘loaded with hostile rhetoric’. GOOD!!! That is what it was intended to be. Note to the liberal MSM, Cuba is a socialist and Communist government. Do you think we care what they think? The days of the like of Obama appeasing socialist and communists are over. The days of one-sides agreements that do not benefit America are over! That is what the election of 2016 was about. Donald trump’s full speech on Cuba can bee seen below. It would appear that Barack Obama never met a socialist he didn’t like. Obama commented on the death of Fidel Castro over the weekend and it was “pathetically” eye-opening. Not one mention of the tyranny and oppression that Castro and his regime inflicted on the good citizens of Cuba. Sen. Marco Rubio (FL-R) ripped Obama for his “pathetic” comments. Of course Sen. Bernie Sanders (VT-S) had no problem with the praise of the ruthless dictator. What else would you expect from a socialist. UPDATE I: Fidel Castro Supporter Colin Kaepernick Greeted By Thunderous Boos In Miami. Miami Dolphins fans mercilessly booed San Francisco 49ers quarterback Colin Kaepernick Sunday afternoon in Miami. Kaepernick has been in the news recently after a tense exchange over the merits of recently deceased Cuban dictator Fidel Castro with a local Florida reporter. Miami, which has a large Cuban population, didn’t let Kaepernick forget about it. Cuban dictator Fidel Castro has finally died at the age of 90. The hero to the Left and socialists has passed. Cubans in Miami rejoiced upon hearing of the news of the socialist dictators death and danced in the streets. This is more a symbolic death for the people who have fled Cuba as Fidel Castro stepped down some 10+ years ago. Cuba is still run by a dictator, maybe some day a U.S. President will make a real deal with Cuba that is good for the U.S. and Cuban people. Make no mistake about it, this man mercilessly killed and jailed his political enemies. On a personal note, having known so many Cuban-Americans who’s parents had fled Castro’s tyranny and some who while trying to have their families escapade where captured and imprisoned, I can only imagine the feelings they are experiencing what they are going through. CUBAN icon Fidel Castro died peacefully in bed aged 90 yesterday — after surviving 638 assassination bids. The cigar-smoking revolutionary, who pushed the world to the edge of nuclear war, was damned and feted across the globe. His enemies were last night toasting the death of a blood-soaked tyrant guilty of murdering hundreds of political opponents and oppressing his impoverished people. 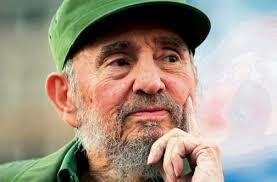 Castro was born on August 13, 1926, in Cuba. A lifelong Marxist, he trained as a lawyer but was jailed after attacking a barracks with brother Raul and fled to Mexico on release. He returned alongside legendary guerilla leader Che Guevara and a rebel army to seize power in 1959. He was Prime Minister until 1976, when he became President. He immediately ordered the executions of 582 opponents, shut independent media and herded gay people into “re-education” camps. Later, HIV-positive citizens were quarantined. In 1962, he invited Russian nuclear missiles to be based on Cuba, just 90 miles from the hated US. Raul Castro recently said that the United States is “the enemy”! THIS IS WHAT WHEN ONE IDEOLOGUE COMMENTS ON ANOTHER … OBAMA NEVER MET A SOCIALIST HE DIDN’T LIKE. The socialist in chief … Well Barack Obama promised if elected he would transform America, he never said whether that transformation was good for America. 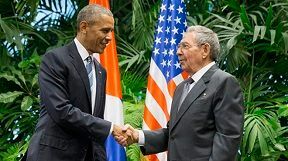 The Washington Examiner reports that during an interview with Yahoo.com, Obama referred to Raul Castro, the co-dictator of Cuba, as a pragmatist, not “an ideologue.” UNREAL. But what else would you expect to come from the lips of an ideologue. 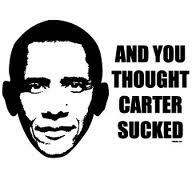 Obama promised in an exclusive interview with Yahoo News that he “very much” hopes to visit Cuba during his last year in office, but only if he can meet with pro-Democracy dissidents there.Oh sure Barack, I am sure the Castro boys will let the pro-Democracy dissidents out of jail for your visit and then throw them back in when you leave. GOOD GRIEF. The Cuban government ha made no concessions, yet that did not stop Obama from making diplomatic relations with a communist, oppressive regime. Who needs human rights, and I thought liberals cared about the people.